Welcome!!! This site will let you explore all of the wonderful aspects of the flower commonly known as the Trillium. The Trillium is an elegant wildflower that you may have seen on the forest floor. There are many different species of Trillium. 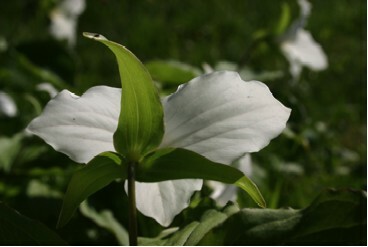 This site focuses primarily on the Trillium grandiflorum. The plant itself is 6"-24" tall. It has an unbranched stem that forms from a large rhizome below ground. The stem is surrounded by leaves in whorls of three. The leaves are 2"-6" long, oval in shape with a short pointed tip and no teeth. The Trillium may bloom in late April through June. The flower lasts about a month and has six tepals; three petals and three sepals. The petals are pale green to white and may turn pink with age or after pollination. Each of the three petals is 1"-3" wide. They have the biggest flower of all the flowers under the genus Trillium; it is showy, flaring out from its funnel base. The three sepals are just below the spectacular petals. They are green, narrow, and pointed. 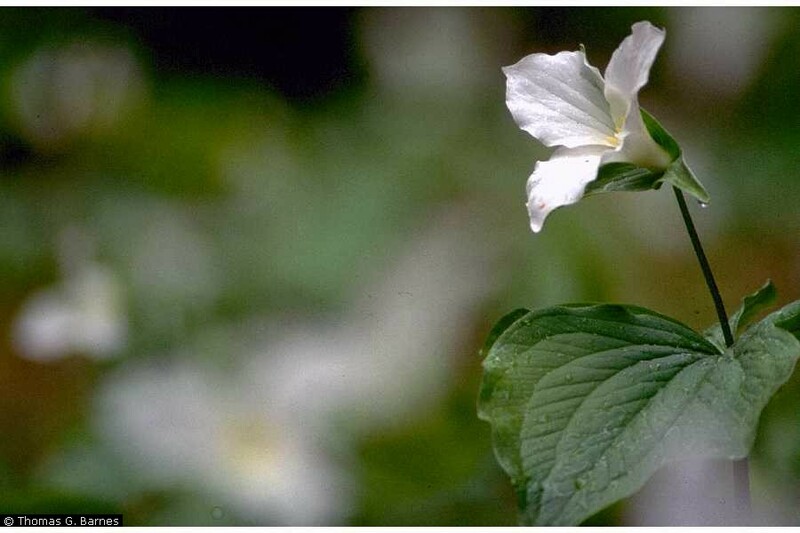 To learn more about where you can find the Trillium, go to the Habitat and Geography page.